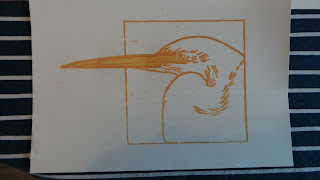 So, this will be my first attempt at reduction linocut method. 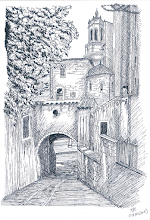 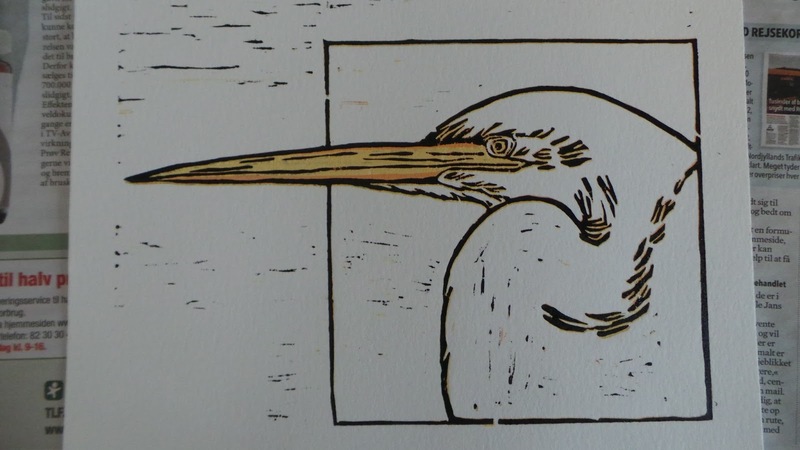 If you don't know what that is, the printmaker artist Belinda Del Pesco has a very comprehensive video on it, that you can check. 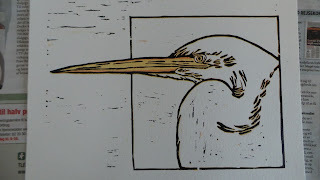 But basically you start out carving the lightest colors on your drawing and proceed to the darkest ones, printing by layers. 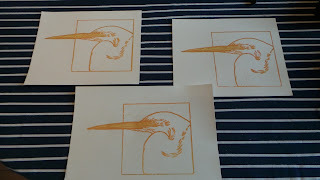 I started out with a simple sketch of an heron, planning to use only three colors (yellow, light orange and black). 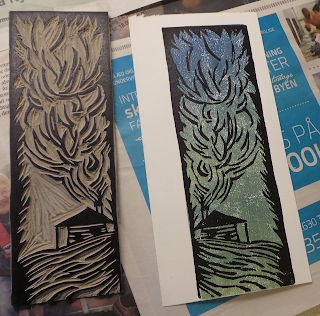 I did 8 prints in total, but only three came out decent. 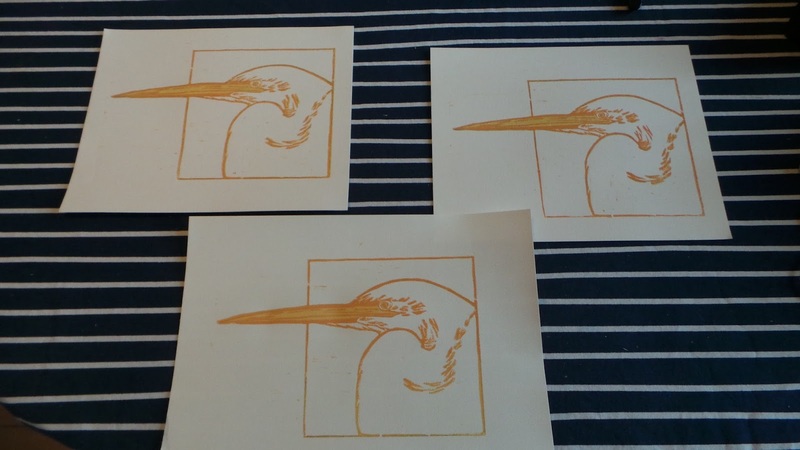 With this method you really need to pat your expectations and print more than you think you will need, to consider that some of the prints will not come out well. 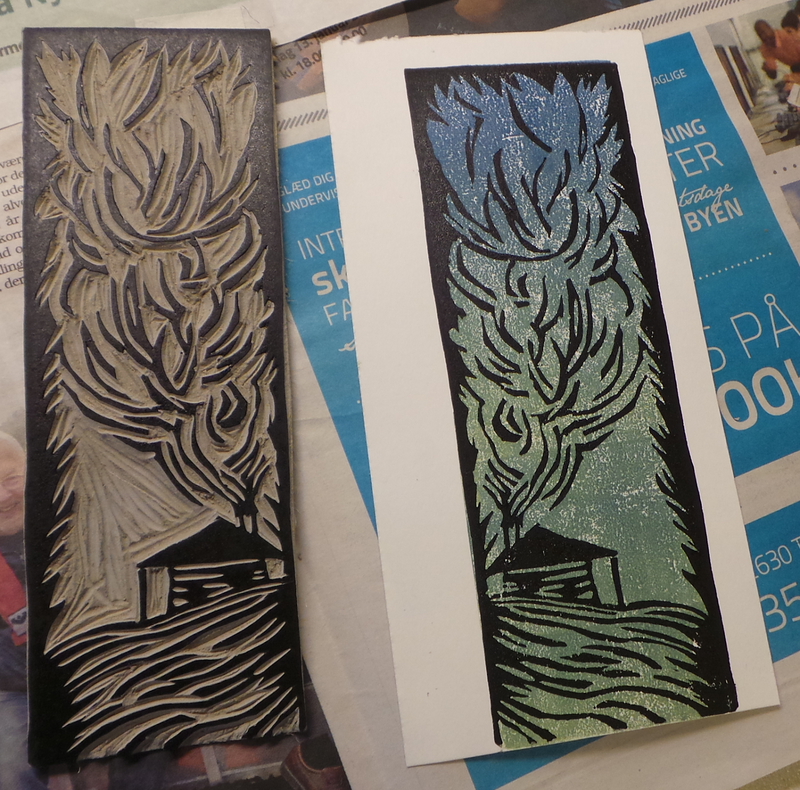 Here is a close up from before and after the final layer. 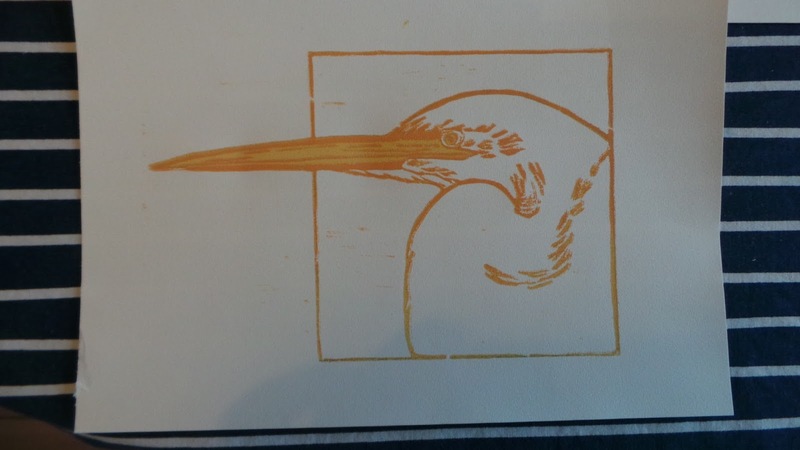 I was more happy with the bookmarker print then with the heron print, but overall it was fun to try this method and I'm definitely making more reduction linocuts in the future.